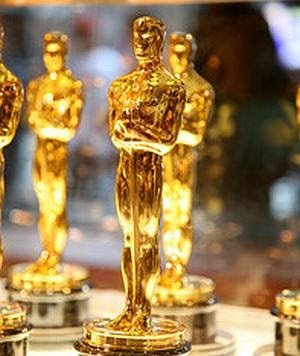 The votes are in, the lights are off and the gowns are yesterday's news - yes folks, the Oscar's have come and gone again. But even though the style, the glamour and the Europeans who grabbed all the top acting nods are making all the news, the greener side of the event show is also catching some worthwhile buzz. This year's Oscar's had some 75 celebs arriving in zero-emission hydrogen powered cars and hybrids. In addition, the glamourfest (with the support of the LA Department of Water and Power) was telecast using 100% renewable wind power. The generators that were used for production for press support were powered by a fuel mix including bio-diesel. Most of the food service offered was either bio-degradable or compostable. Even the pretty invites, place cards, parking passes and more incorporated the use of post consumer recycled paper. The result was a fairly "footprint friendly" walk down the red carpet in 2008. Hat's off to you Academy, for continuing to support the arts, the glitz and the new "green" of Hollywood!